A Broad­way tri­umph which led to a beloved film as well as count­less revivals across the world, Lern­er and Loewe’s Camelot is a pow­er­ful clas­sic. A time­less love sto­ry and grand adven­ture, with mem­o­rable favorites as “If Ever I Would Leave You”, “The Lusty Month of May” and of course “Camelot”, its charm and hope are eter­nal. 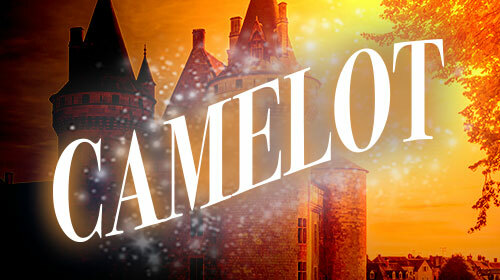 Camelot is pre­sent­ed through spe­cial arrange­ment with Music The­atre Inter­na­tion­al (MTI).